Readers, what do authors want from you? Ha, that’s an open-ended question isn’t it? I bet you answered “to buy all your books.” Yes, that’s true. Most of us desire to make a living from our writing, not so much to be stinking rich but enough that we can make writing our full-time career. That’s a win for readers too, since we can write more books. You may also have said “to write awesome 5-star reviews.” Yes, please. I’ve spoken about reviews before, and we all know that lots of good reviews sell more books. By now, you’re thinking more like an author and might offer “to promote your books and tell all our friends.” Ding. Ten points! Word of mouth is much more powerful than even reviews. Reviews are the opinion of strangers. When you recommend a book in person, that endorsement carries significant weight because you (presumably) know what your friends like to read. How often do you not read a book when your BFF tells you “OMG, you just have to read this. I stayed up all night to finish it!” Authors dream of readers becoming such passionate advocates of our books. Taking these three points as a given, what authors really want from readers is feedback and comments. Note that this doesn’t mean flattery and singing our praises because our latest book is “a complete masterpiece”. It means honest, down-to-earth and personal contact. You see, most writers don’t write to be rich or famous, we write because we want people to enjoy our stories. Hearing from readers is the high point of our days. A good review is nice, as is a post on Facebook or a tweet about liking one of our books. Even better is a personal message, a comment on our web sites or an email. Obviously I can’t speak for all authors here, since some don’t like to approached in such an intimate form as an email, but many of us love it. Even just a few words means a lot to us. That you went out of your way to comment or email is not something we take for granted. Maybe you just want to say you enjoyed our book. Maybe it resonated with you in some way, reminded you of someone or that you found the theme or symbology meaningful. Perhaps there was something you didn’t like. Personally, I like to hear that too. Perhaps you wanted more mystery, more romance, or you just want to hear more about a particular character. All feedback is great. As authors we spend months or years creating something and then we throw it into the world for others to enjoy. The worst thing for us is to hear crickets. Did we move you, make you laugh, make you cry? Did you fall in love with a character, or hate a villain so much that you cheered when he got defeated? Historically, authors have cultivated an aloofness I think; someone we readers fawned over at conventions or book signings. Or maybe it was just too difficult to engage with an author in the days before the internet or social media. Most authors I know today, love chatting with readers. Remember that all authors are readers too, and we love talking about books, yes, even – shock – other people’s books! You have a chance to shape our future books too. Writing is fast becoming a collaborative effort in that if we know what types of books, settings, characters, or situations you prefer, we can tailor our future work. Tell us which of our books you liked best, and why. I’d like to know if more readers are interested in a sequel to Ocean of Dust than Necromancer, or vice versa. I like to think that’s a win for readers too. Many authors are collaborative in this way. It’s fun. So, dear reader, there is a solid reason that we display our email address (or a contact form) on our web sites, and have social media profiles – to make it easy for you to contact us. Please do! Don’t be shy. Computed Field is a very powerful field module that lets you add a custom “computed fields” to your content types. These computed fields are populated with values that you define via PHP code. You may draw on anything available to Drupal, including other fields, the current user, database tables, you name it. (Feeling the power yet? :) ) You can also choose whether to store your computed field values in the database with other content fields, or have them “calculated” on the fly during node views. (Although you should note that Views use requires database stored values.) This field is literally the Swiss Army knife of fields. So start cooking up your PHP based values! MySQL benchmarking: Know your baseline variance! Often enough I find MySQL benchmark results where the difference between results is 1% or even less and some conclusions are drawn. Now it is not that 1% is not important – especially when you’re developing the product you should care about those 1% improvements or regressions because they tend to add up. However with such a small difference it is very important to understand whenever this is for real or it is just the natural variance for your baseline test. This is the result for a simple in-memory, read-only “select by primary key” SysBench benchmark on dedicated physical hardware that is otherwise idle, simple 1 socket system. I tried to stabilize it as much as possible, for example disabling CPU frequency scaling. But still I saw some 3% difference between “good runs” and bad runs. What is the difference between those runs? Simply mysqld restarts. Does this mean you can’t measure a smaller difference? You can by setting the appropriate test plan. Often having several runs makes sense, in others you need to make sure the system warms up before taking measurements or having benchmark runs that are long enough. Whatever method you use it is a good idea to apply your test methodology by conducting several runs of your baseline run to ensure the results are stable enough for your purpose. For example If I decided to do five 30-minute runs and average the results, if they all run within 0.1% I will consider 0.3% differences as meaningful. Another practical trick that often helps me to separate real differences from some side effects is mixing the tests. Say if I have configurations I’m testing A and B instead of doing AAA BBB I would do ABABAB which helps with the case when there is some regression that can accumulate over time, such as with Flash. You should also note that in modern systems there is almost always something happening in the background that can change performance – the SSD is doing garbage collection, MySQL (or Kernel) is flushing dirty pages, the CPU can even simply cool off and as a result being able to support Turbo-boost operations a little longer. So when you are stat running your benchmarks make sure you keep the idle time between runs the same – scripting benchmarks and iterating scenarios helps here. The post MySQL benchmarking: Know your baseline variance! appeared first on MySQL Performance Blog. Percona is glad to announce the new release of Percona XtraDB Cluster 5.6 on Novmeber 25th 2014. Binaries are available from downloads area or from our software repositories. We’re also happy to announce that Ubuntu 14.10 and CentOS 7 users can download, install, and upgrade Percona XtraDB Cluster 5.6 from Percona’s software repositories. Based on Percona Server 5.6.21-70.1 including all the bug fixes in it, Galera Replicator 3.8, and on Codership wsrep API 25.7, Percona XtraDB Cluster 5.6.21-25.8 is now the current General Availability release. All of Percona‘s software is open-source and free, and all the details of the release can be found in the 5.6.21-25.8 milestone at Launchpad. Galera 3.8 introduces auto-eviction for nodes in the cluster experiencing network issues like packet loss. It is off by default and is turned on with evs.auto_evict option. This feature requires EVS protocol version (evs.version) 1. During the EVS protocol upgrade all membership changes are communicated over EVS protocol version 0 to preserve backwards compatibility, protocol is upgraded to the highest commonly supported version when forming a new group so if there exist a single node with older version in the group, the group protocol version remains as 0 and auto-eviction is not functional. (#1274192). Percona XtraDB Cluster now supports backup locks in XtraBackup SST (in the default xtrabackup-v2 wsrep_sst_method). Backup locks are used in lieu of FLUSH TABLES WITH READ LOCK on the donor during SST. This should allow for minimal disruption of existing and incoming queries, even under high load. Thus, this should allow for even faster SST and node being in ‘donor/desynced’ state. This also introduces following constraints: Percona XtraDB Cluster 5.6.21 requires Percona XtraBackup 2.2.5 or higher; An older (< 5.6.21) joiner cannot SST from a newer (>= 5.6.21) donor. This is enforced through SST versioning (sent from joiner to donor during SST) and logged to error log explicitly. (#1390552). Percona XtraDB Cluster is now shipped with Galera MTR test suite. Percona XtraDB Cluster now shows a warning in case additional utilities, like pv which may not affect critical path of SST, are not installed. Bug fixed #1248688.
mysqldump SST can now use username/password from wsrep_sst_auth under group of [sst] in my.cnf in order not to display the credentials in the error log. Bug fixed #1293798. Normal shutdown under load would cause server to remain hanging because replayer failed to finish. Bug fixed #1358701.
wsrep_causal_reads variable was not honored when declared as global. Bug fixed #1361859.
garbd would not work when cluster address was specified without the port. Bug fixed #1365193. If mysqld gets killed during the SST it will leave an unclean data directory behind. This would cause Percona XtraDB Cluster to fail when the server would be started next time because the data directory would be corrupted. This was fixed by resuming the startup in case wsrep-recover failed to recover due to corrupted data directory. The old behavior is still achievable through --exit-on-recover-fail command line parameter to mysqld_safe or exit-on-recover-fail under [mysqld_safe] in my.cnf. Bug fixed #1378578. Percona XtraDB Cluster now reads environment variables for mysqld from following files (if present): /etc/default/mysql in Debian/Ubuntu; /etc/sysconfig/mysql in CentOS 6 or lower; /etc/sysconfig/mysql in CentOS 7 with mysql.service; /etc/sysconfig/XYZ in CentOS 7 with mysql@XYZ.service (/etc/sysconfig/bootstrap is supplied by default). Bug fixed #1381492.
gvwstate.dat file was removed on joiner when Xtrabackup SST method was used. Bug fixed #1388059. Percona XtraDB Cluster now detects older joiners which don’t have the backup lock support. Bug fixed #1390552. Inserts to a table with auto-increment primary key could result in duplicate key error if another node joined or dropped from the cluster during the insert processing. Bug fixed #1366997. TOI now skips replication if all tables are temporary. Bugs fixed #11 and #13. Bootstrapping a node tried to resolve gcomm address list specified in wsrep-cluster-address. Bug fixed #88. In case stored procedure containing a non-InnoDB statement (MyISAM) performed autocommit, that commit would be entered two times: at statement end and next time at stored procedure end. Bug fixed #2. Two appliers conflicting with local transaction and resulting later in (acceptable) BF-BF lock conflict, would cause cluster to hang when the other BF thread would not grant the lock back after its local transaction got aborted. Bug fixed #7. Other bugs fixed #1378138, #1377226, #1376965, #1356859, #1026181, #1367173, #1390482, #1391634, and #1392369. Release notes for Percona XtraDB Cluster 5.6.21-25.8 are available in our online documentation along with the installation and upgrade instructions. The post Percona XtraDB Cluster 5.6.21-25.8 is now available appeared first on MySQL Performance Blog. The mysql client picks this up right away and will use it by default. This file has good default filesystem permissions, is local to my homedir, and is a whole lot better than specifying it on the command line or typing it in every time. The ‘remote’ host doesn’t exist here, but you get the idea. You can create as many login-paths as you want with varied hostnames, credentials and other login parameters and quickly access them with any client supporting login-path. Now, how secure is this really? This isn’t secure from anyone who roots your DB server. I would say the benefits are more about reducing careless password storage and tidier management of local credentials. The post (More) Secure local passwords in MySQL 5.6 and up appeared first on MySQL Performance Blog. 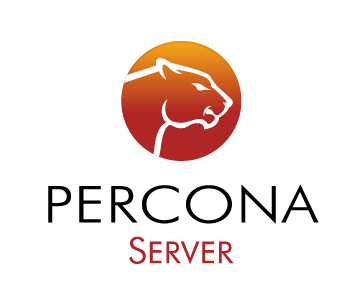 Percona is glad to announce the release of Percona Server 5.6.21-70.1 on November 24, 2014. Download the latest version from the Percona web site or from the Percona Software Repositories. 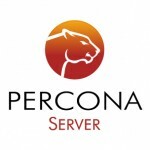 Based on MySQL 5.6.21, including all the bug fixes in it, Percona Server 5.6.21-70.1 is the current GA release in the Percona Server 5.6 series. Percona Server is open-source and free. Complete details of this release can be found in the 5.6.21-70.1 milestone on Launchpad. A slave replicating in RBR mode would crash, if a table definition between master and slave differs with an allowed conversion, and the binary log contains a table map event followed by two row log events. This bug is an upstream regression introduced by a fix for bug #72610. Bug fixed #1380010. An incorrect source code function attribute would cause MySQL to crash on an InnoDB row write, if compiled with a recent GCC with certain compilation options. Bug fixed #1390695 (upstream #74842). MTR tests for Response Time Distribution were not packaged in binary packages. Bug fixed #1387170. The RPM packages provided for CentOS 5 were built using a debugging information format which is not supported in the gdb version included with CentOS 5.10. Bug fixed #1388972. A session on a server in mixed mode binlogging would switch to row-based binlogging whenever a temporary table was created and then queried. This switch would last until the session end or until all temporary tables in the session were dropped. This was unnecessarily restrictive and has been fixed so that only the statements involving temporary tables were logged in the row-based format whereas the rest of the statements would continue to use the statement-based logging. Bug fixed #1313901 (upstream #72475). Other bugs fixed: #1387227, and #1388001. The post Percona Server 5.6.21-70.1 is now available appeared first on MySQL Performance Blog. Host Analytics, a company that provides cloud-based financial analytics tools, announced $25M in Series E funding today, and suggested the next logical step for the company is going public. Today’s funding brings their total to date to $77M.